We buy cars. Whether it's crashed cars, junk cars, used cars, or just unwanted cars, we buy any cars. Car not running? No problem. Has an accident turned your sedan into a convertible? No problem. Let's talk. That unwanted clunker sitting in your driveway very well could be an opportunity waiting to happen – an opportunity to put cash into your pocket. We don't need to make an in-person visit to evaluate your car. Other cash for car companies give inflated quotes to buy your old car so they can decrease the offer at the time of removal. Don't fall victim to their schemes and call us, the car buyers you can rely on to pay the amount agreed upon for your car. ‌You won't need to fill out any forms because we handle all of the paperwork. It's quick and it's easy, and it costs you nothing. We will pick up the car at no charge to you, and we can do it the same day if that's what you need. ‌If you're in the Ohio area, and you have a car that you would like to turn into cash, just pick up the phone and give us a call today. Let that clunker become your golden rocket. At We Buy Cars For Cash Cleveland, we offer same day pickup. If you live in Southern Cleveland, then you really can see what it's like to get quick cash for your used cars. What's even better, is that this amazing service comes at no extra cost. Here at We Buy Cars For Cash Cleveland, we accept a wide variety of vehicles. We don't need to see your car in person to evaluate it. It doesn't matter whether you have a used car, old car, classic car, wrecked car, junk car, or a truck, we buy them all! Car doesn't run? No problem! It doesn't matter to us whether or not your car is in working condition. If you seek to get cash for your unwanted car, then it won't be a problem at all, even if it doesn't start up. Sell Car for Cash Cleveland handles all of the messy paperwork. As a tribute to our belief in quality and superb customer service, we handle all of the paperwork for our customers. You will rest better knowing you finally took care of that old clunker, while honoring the environment. We recycle everything possible, reducing what goes into landfill. That is good for our business and the community. Junkyard dealers cannot always make that promise. ‌Sell your car for cash to remove the hassle and heartbreak that comes from unloading an old vehicle. ‌One call is all it takes to get cash for your car. 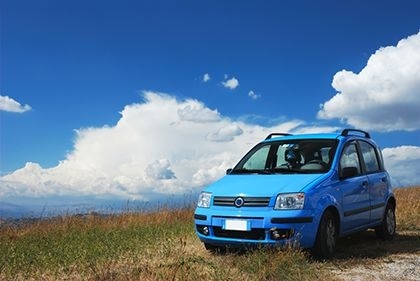 It's easy not to think about car removal when your vehicle works fine, but eventually it will become junk or too old to use, and you'll find yourself in an expensive predicament. ‌Getting rid of a car isn’t cheap; it can cost several hundred dollars just to tow and dispose of the car, and that’s not accounting for other hassles. Failing to remove your old vehicle can result in a pricey penalty. ‌This problem is made even worse by how sluggish many car disposal companies are. Even though all you want to do is junk your car and reclaim your driveway, a lot of places will leave your old vehicle sitting around for far longer than is necessary. It’s enough to drive anyone crazy. ‌That doesn’t mean there isn’t a better way of junking your car in Cleveland. Call us for an instant cash for car quote. Is there an old car or truck taking up valuable real estate in your yard or garage? 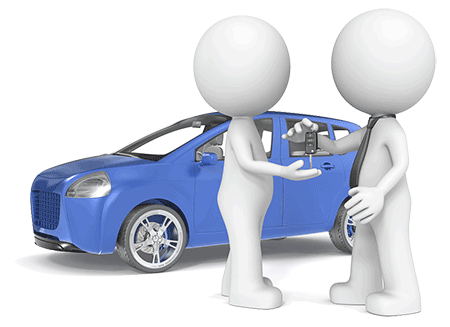 ‌We will pay top dollar for your unwanted car, working or not. We are a reputable business that knows how to make the most of your old vehicles. We pay cash, at an honest price, quickly and easily. ‌Need cash fast? No worries. We promise there is no quicker way to unload your old car or truck. We even offer same day service. You will not get money quicker from our competitors. ‌We Buy Cars For Cash Cleveland serves the Ohio area, providing a full range of service options. One phone call will get the ball rolling. We will give you a guaranteed quote over the phone. Our price will never change once we see your clunker. Furthermore, we arrange for removal, including towing fees if necessary, and we do all the paperwork.